We will welcome Reverend Sarah Schurr as guest speaker at our regular 10:30 am worship service. Rev. Sarah Schurr will help us look at Martin Luther King’s ideas of Beloved Community and what might help us live into those values in our Unitarian Universalist Congregations. We will explore what could be getting in our way, and what can help us thrive with compassion and generosity. Rev. 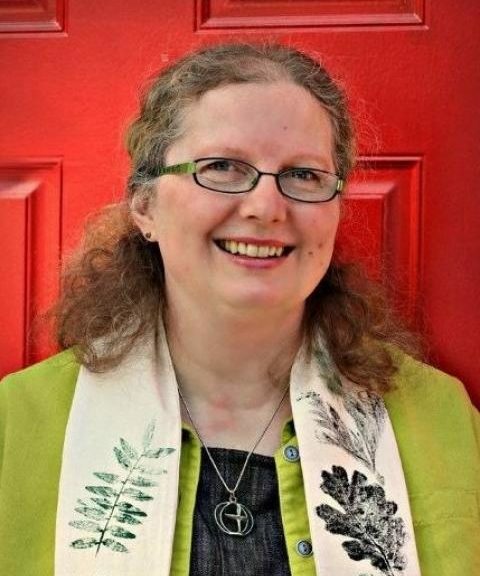 Sarah Schurr is our congregation’s primary contact from the Pacific Western Region of the UUA, and specializes in supporting small and growing congregations. All members and friends are invited to join Sarah after the service for a 90 minute mini-workshop to help build Beloved Community here in our Fellowship. This is an interactive event that is thoughtful as well as fun. We will explore and honor the inherent worth and dignity of each person as we cherish our past and walk towards our future. Everyone is welcome, including children. Bill Martin presents: Taoism – Active Quietism/Quiet Activism on June 4th, 2017 at UUFKC. The Tao Te Ching, with its deep understanding of the energy of Yin and Yang together, presents a revolutionary message — a culture changing message — in the subtle form of “active quietism.” Its author, the legendary Chinese sage, Lao-Tzu, is often called the “father of quietism” for his emphasis on cooperation with the flow of the Tao rather than imposition of our own agendas upon it. However, each poetic chapter of his classic little book contains a seed, which if germinated, would transform society. A quietist accepts the world as he finds it, understanding that the complex dynamics of life are not under his control. He does not seek to fix it according to his own agendas not impose upon it his own standards. The activist sees certain aspects of society to be unacceptable and seeks to make changes in these aspects through direct or indirect action. His actions may arise from compassion or simply from anger and frustration. The Taoism found in the Chinese classic book of spiritual philosophy, Tao Te Ching, combines these two stances; accepting the world as it is in the moment without seeking to lay blame, argue, or instill hate; and at the same time letting a natural willingness arise to take energetic and focused action at the appropriate time and in the appropriate manner in order to be a part of the natural flow, change, and balance of the Tao. For the past twenty-five years he has written and published books and other writings that explore the art of living a Taoist Path in the modern world. The titles below are available through all bookstores and on-line merchants. Clicking on a title will take you to more information. The Tao of Forgiveness – The Healing Power of Forgiving Others and Yourself. 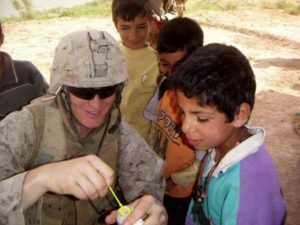 John Fischer presents: “A Veteran Speaks” in honor of Memorial Day. 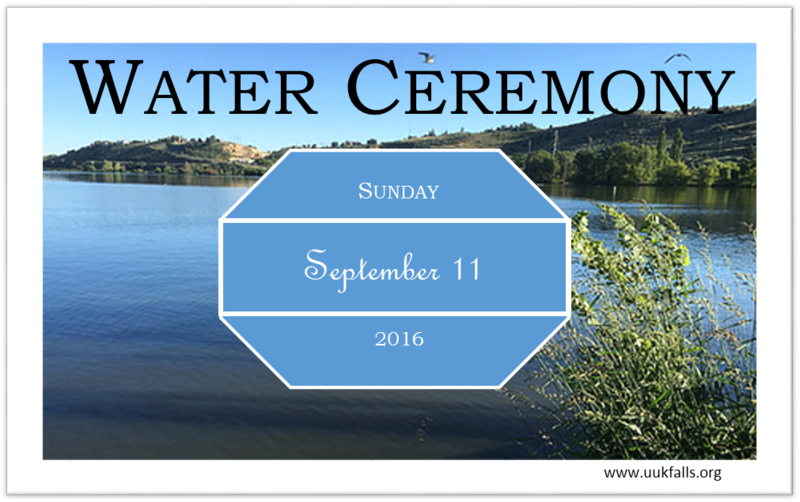 10:30 am Service, Reverend Patt leads us in the Water Ceremony. 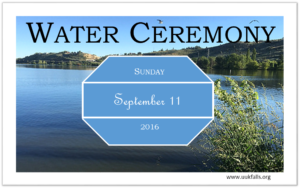 Bring a sample of water from some special place or one you visited this summer. Board meeting to follow potluck. On Sunday, June 5, 10:30 am, the Unitarian Universalist Fellowship will welcome speakers from the Oregon Unitarian Universalist Voices for Justice—Congregations Doing Justice Together. The Rev. Katie Larsell, Executive Director of Oregon UU Voices for Justice, will speak at the service, accompanied by a board member, David Hyde, from Ashland’s Rogue Valley UU Fellowship. Their emphasis is on, “why we do social justice”. Oregon UU Voices for Justice presently has three campaigns: Climate Justice, Money Is Not Speech/Corporations Are Not People, and Single Payer Health Care. Larsell also serves on the Planning and Sustainability Commission of Portland, volunteers with East Portland Action Plan, and is an affiliated community minister from Eastrose Unitarian Universalist Church in Gresham. Coffee follows the service. Childcare will be available. 9:30 am Adult Discussion: Barbara Turk will lead the discussion about a “symbol/memento” you cherish, and always have with you in your pocket, purse, as jewelry, on your bedside, desk, whatever. 9:45 am Children’s Education: Katie will be teaching a lesson from the Tapestry of Faith curriculum. 10:30 am Service: The OIT chapter of Engineers Without Borders will talk about their water projects in Tanzania. For five years the group has worked on constructing two wells, serving a village of 2000 people. 9:30 am Adult Discussion: Racism. This topic will be continued from last week’s discussion. Wendy Millard will facilitate. 9:45 am Children’s Education: Moral Tales, from the Tapestry of Faith program.